Dubai, UAE, November 06, 2018: Looking for a new feline friend to add to your household? 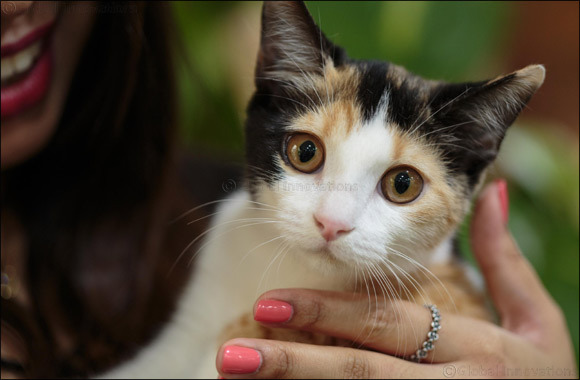 Come along and meet a number of spayed, neutered and fully vaccinated cats at Kittysnip's adoption days - taking place at several location across Dubai. The Dubai-based animal welfare group will host the adoption days throughout November to rehome abandoned or neglected cats and kittens that are in desperate need of a new family. 11am to 5pm every Friday throughout November at the Dubai Garden Centre (Sheikh Zayed Road Exit 40), 11am to 5pm on Friday 9, 16, 23 at The Pet Shop, Al Quoz and 10.30am-4.30pm on Saturday 10th and 24th at The Courtyard. Adoption fees apply. Previous Story : Looking for a new feline friend to add to your household? Look no further!